Stoller and Hale were introduced by basketball Hall of Famer Elgin Baylor (left) and his wife Elaine. 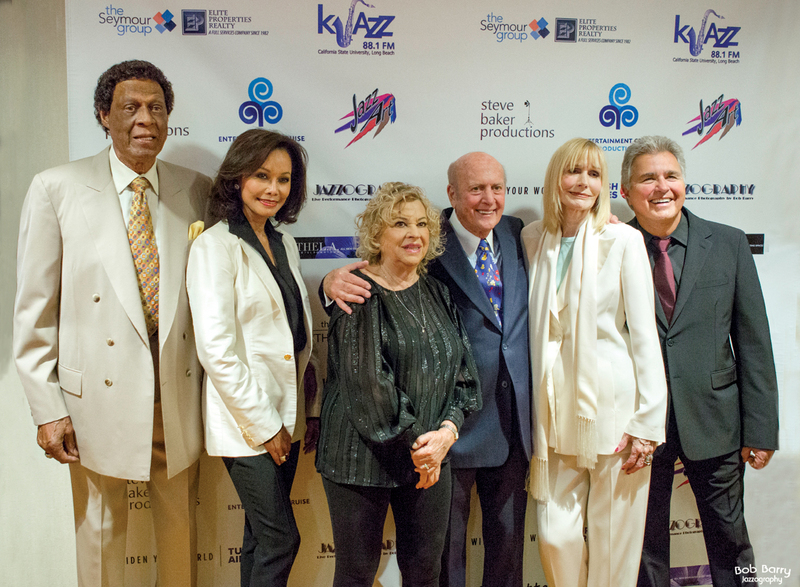 They are pictured with actress Sally Kellerman and vocalist Steve Tyrell, who performed at the gala. The California Jazz Foundation is a nonprofit organization that assists jazz musicians in financial or medical crisis. For information, www.californiajazzfoundation.org.